In celebration of Frieze Art Fair 2014, Alexander McQueen organised a private cocktail party on 13th October 2014 in London, England. 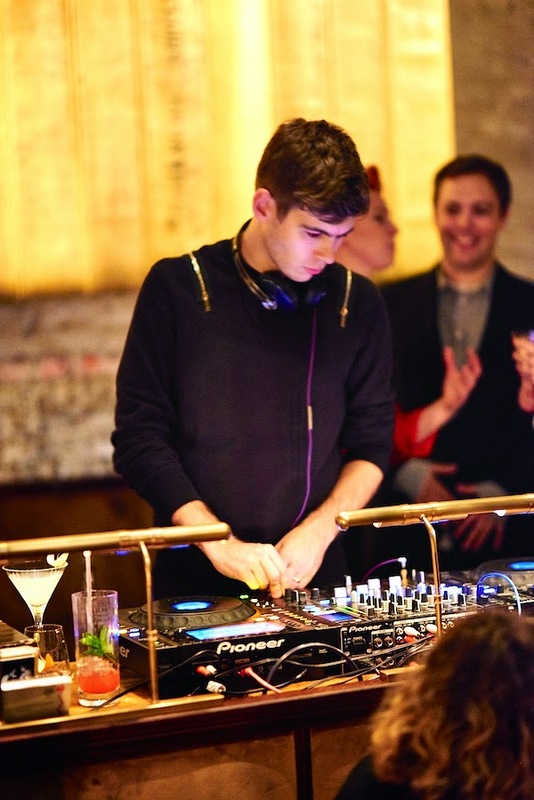 Several celebrities and artistes attended the event, including James Righton who DJ'ed for the evening. The Klaxons vocalist and partner to Keira Knightley, wore a zip detail sweatshirt from Alexander McQueen. 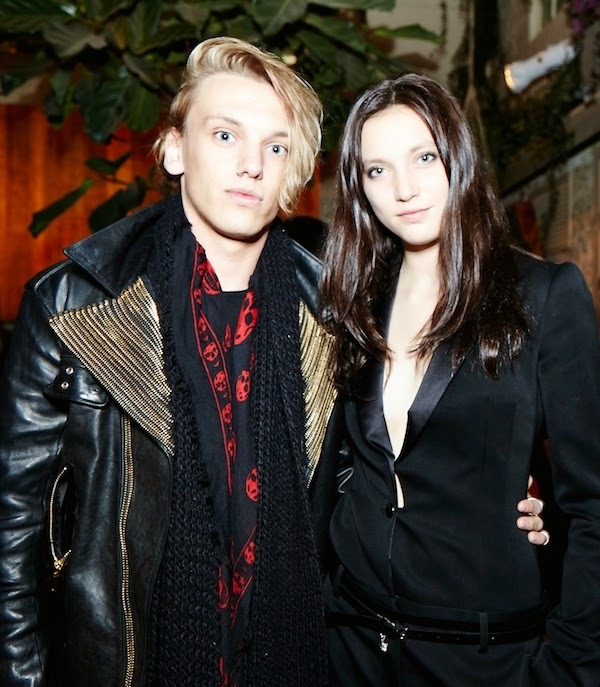 British actor Jamie Campbell Bower and his partner Mathilda Lowther were also in attendance. Jamie Campbell Bower wore a black leather jacket with gold zip detailing, and a black / red skull print scarf, both from Alexander McQueen.